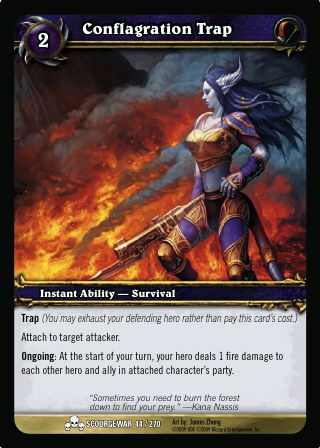 Rules: Trap (You may exhaust your defending hero rather than pay this card's cost. );Attach to target attacker. ;Ongoing: At the start of your turn, your hero deals 1 fire damage to each other hero and ally in attached character's party.